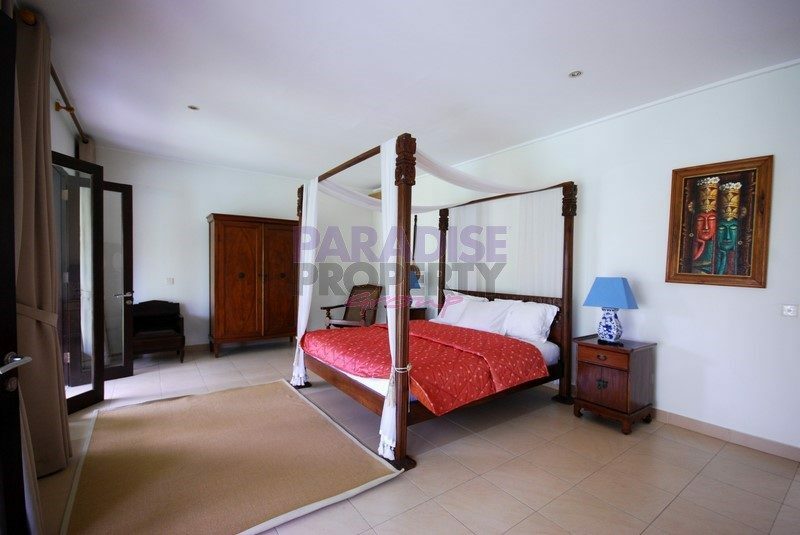 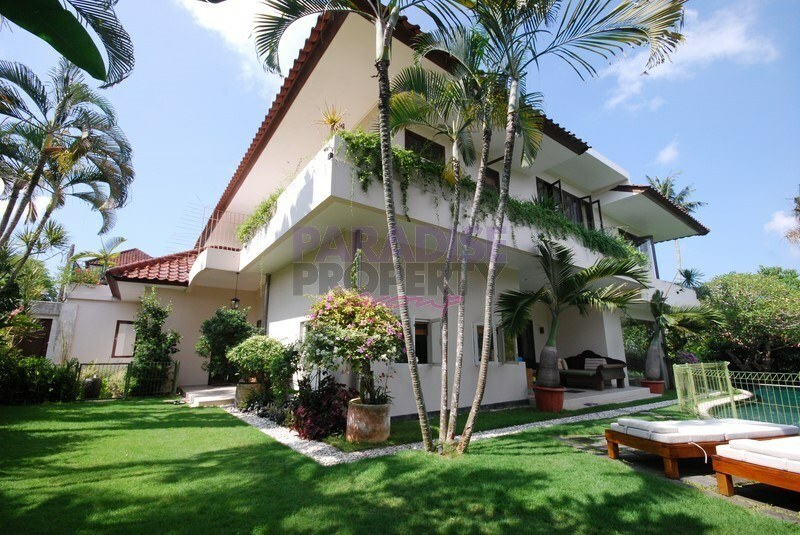 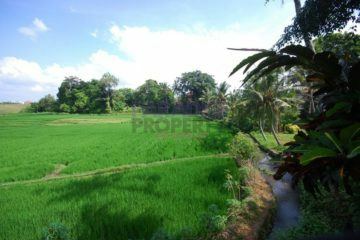 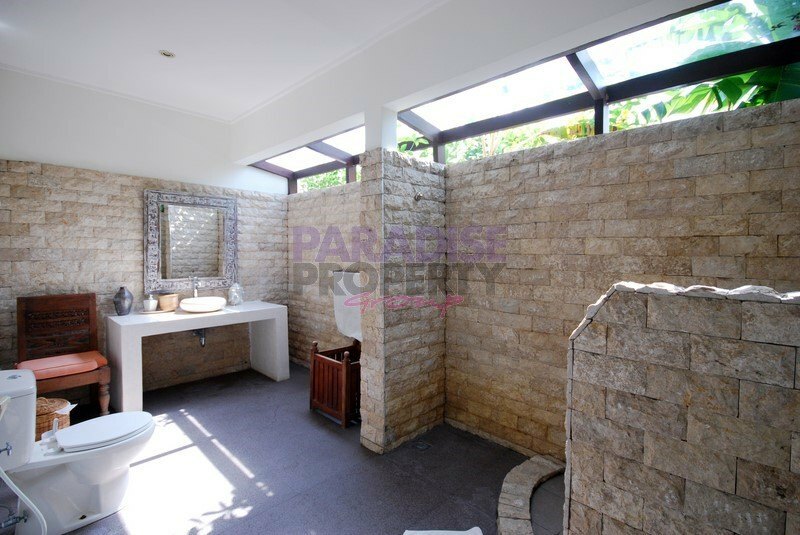 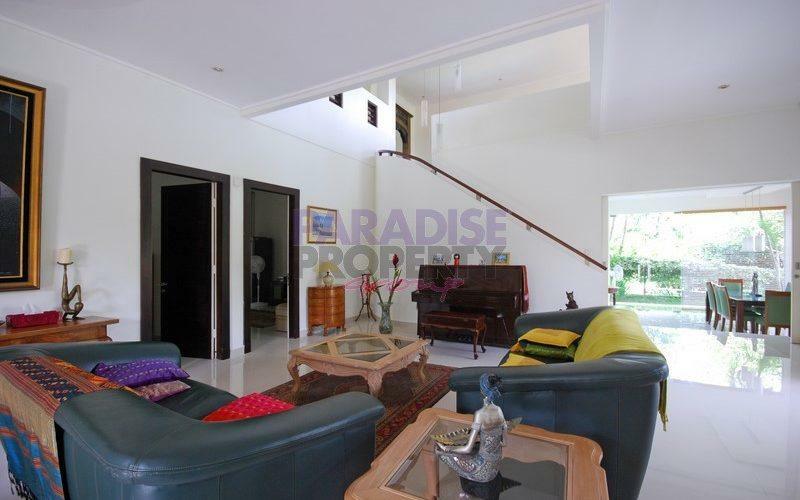 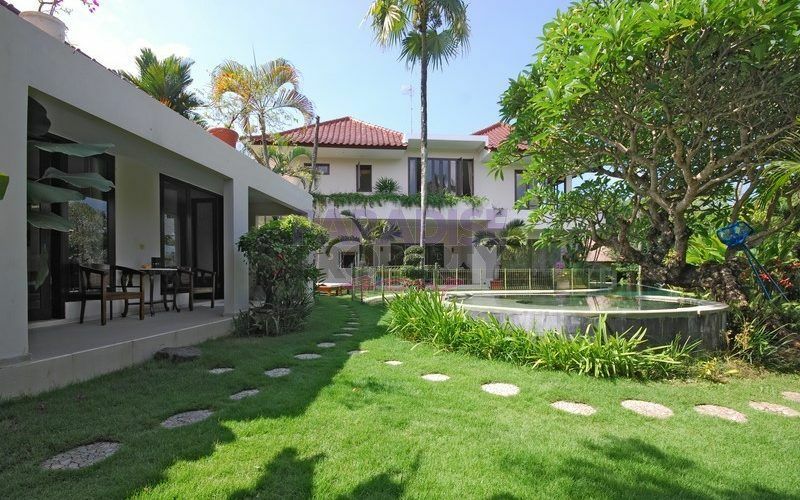 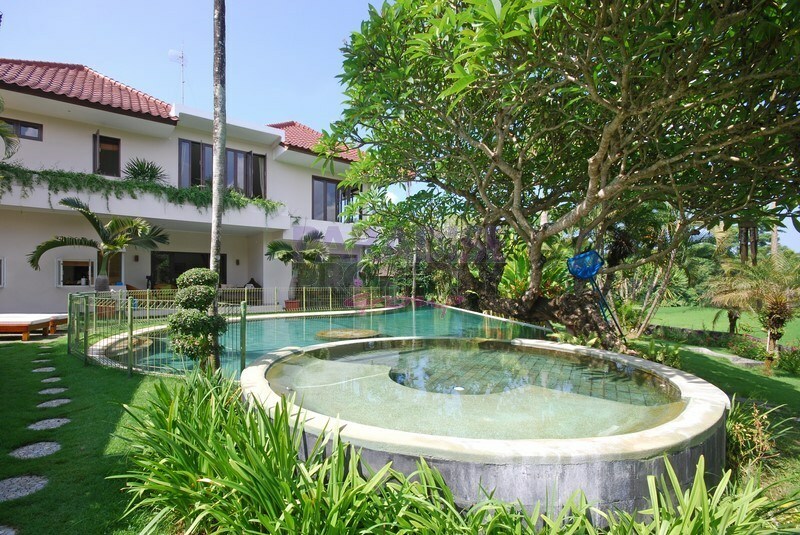 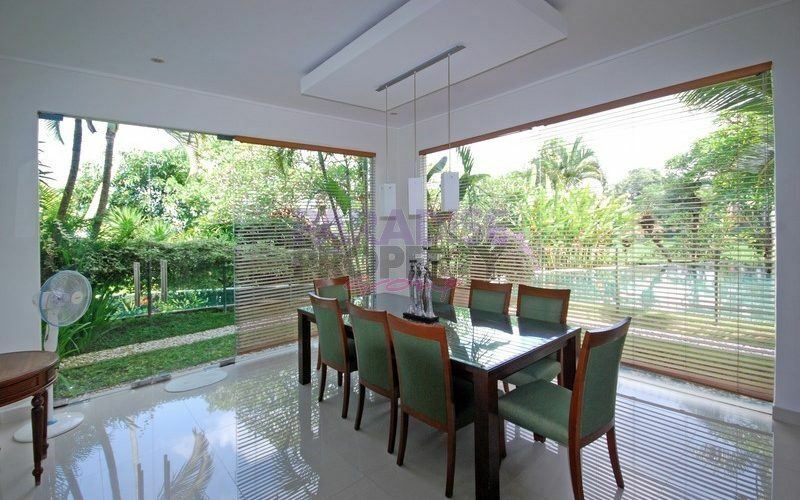 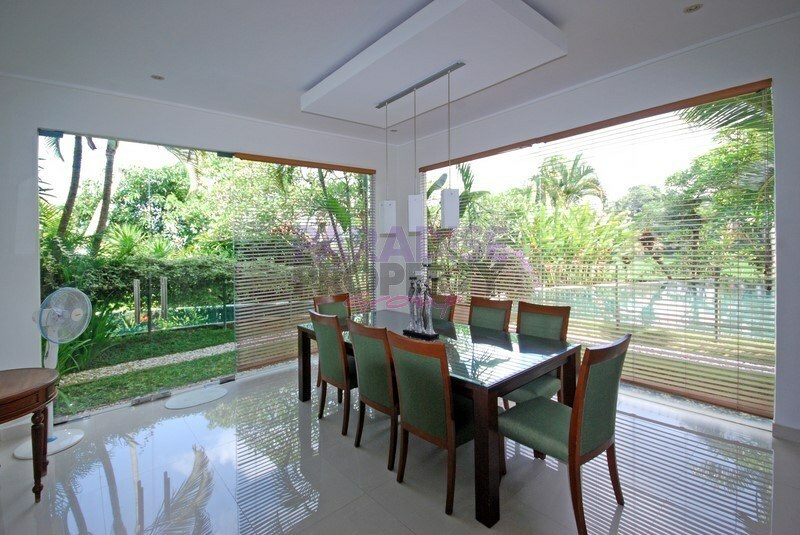 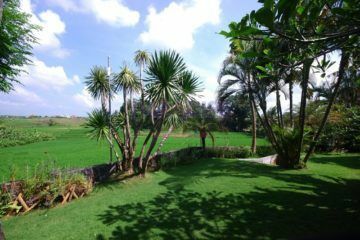 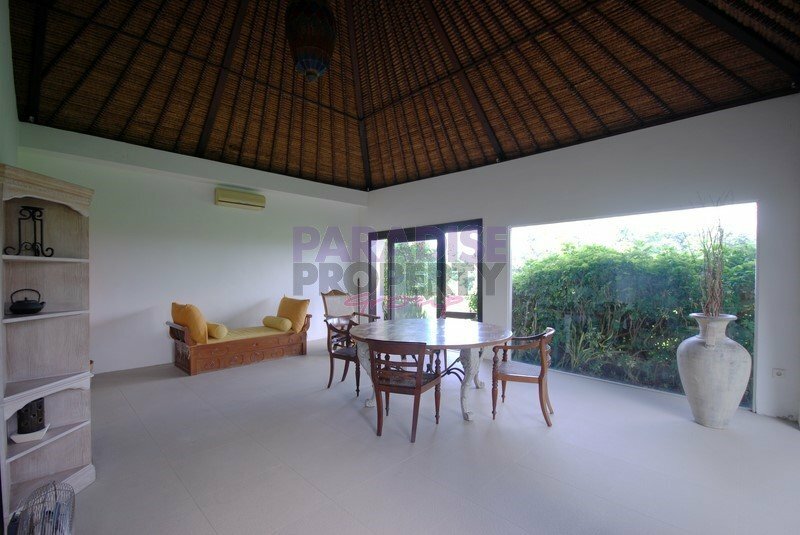 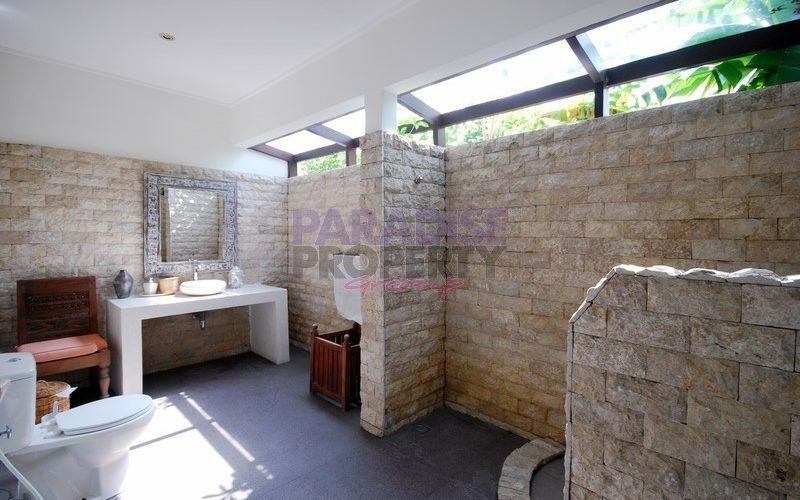 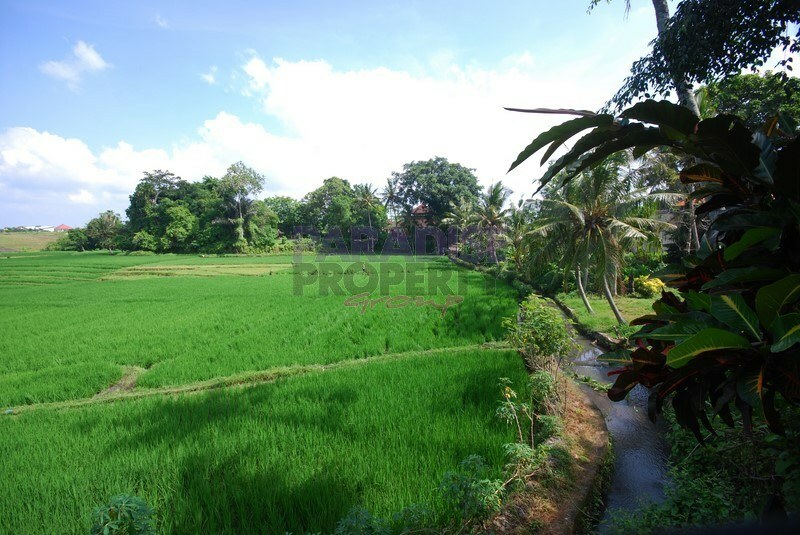 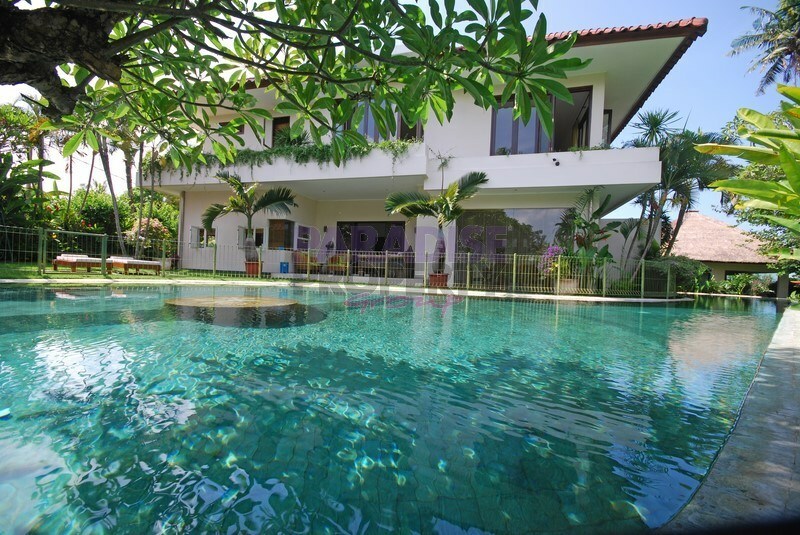 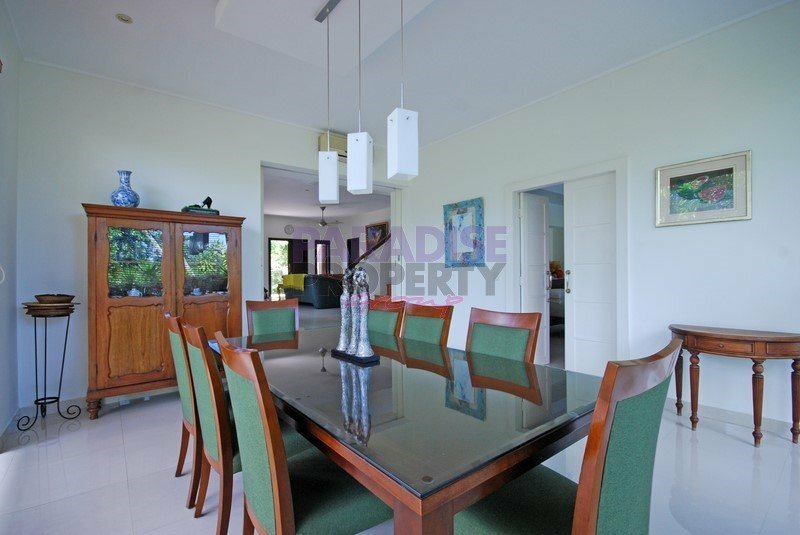 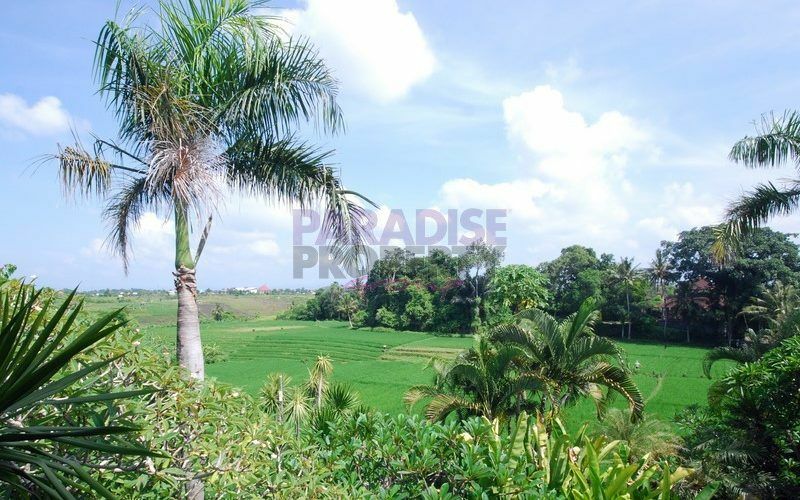 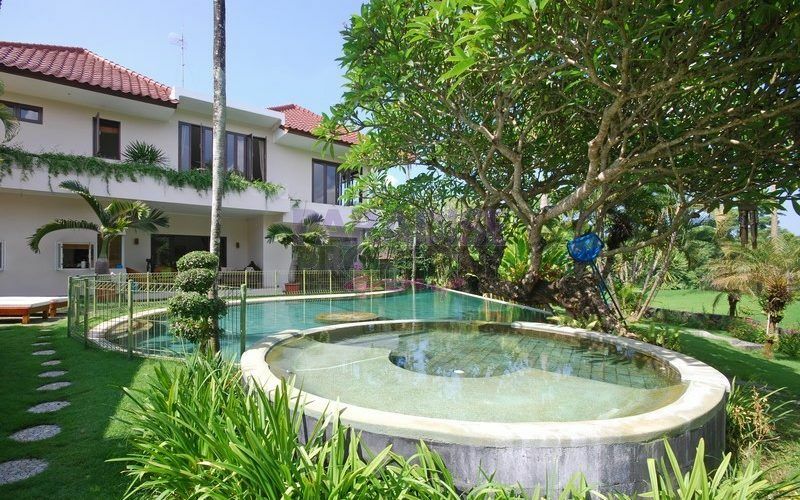 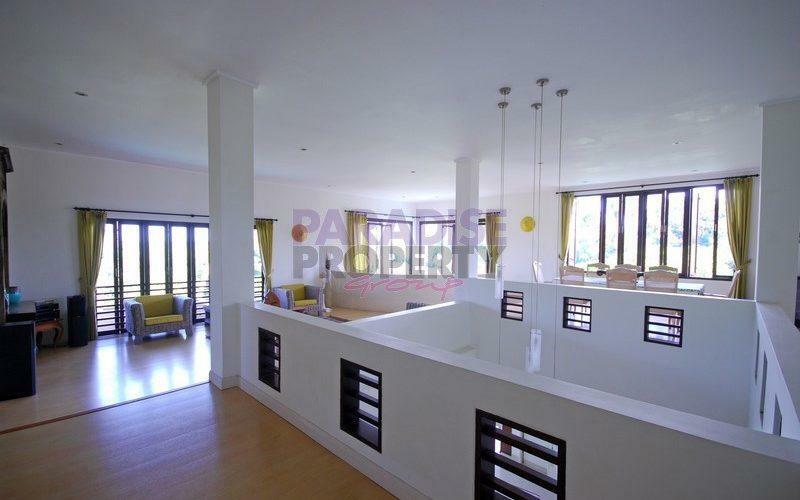 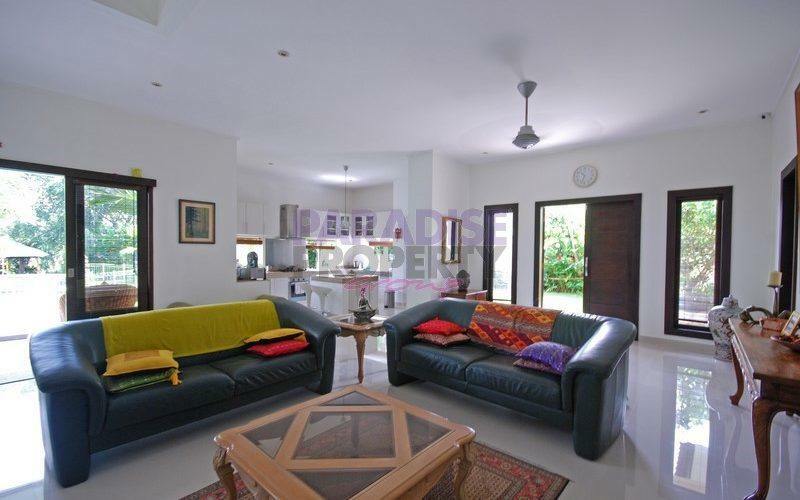 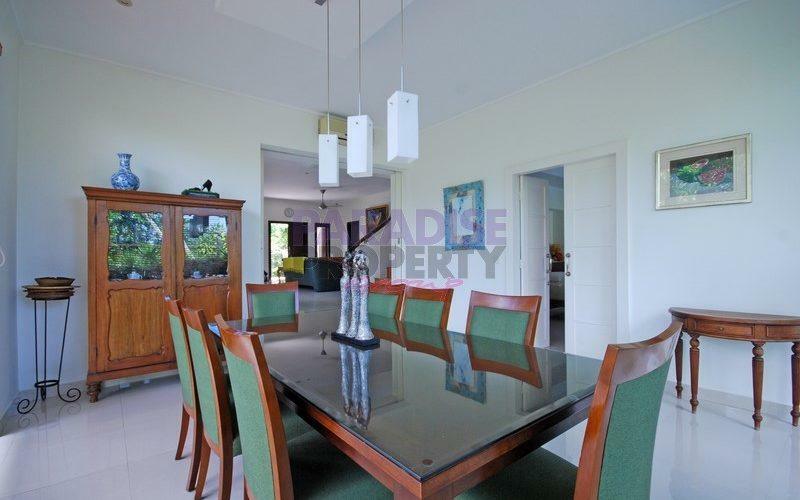 Luxury villa with 6 bedrooms conveniently located in the North Canggu area less than 15 minutes from the beach, Canggu Club and Canggu International School. 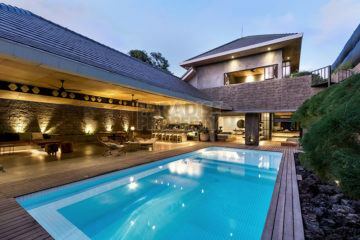 The raised garden elevation, absolute green belt view and huge infinity swimming pool (150m2 surface area), combine to create a wow factor. 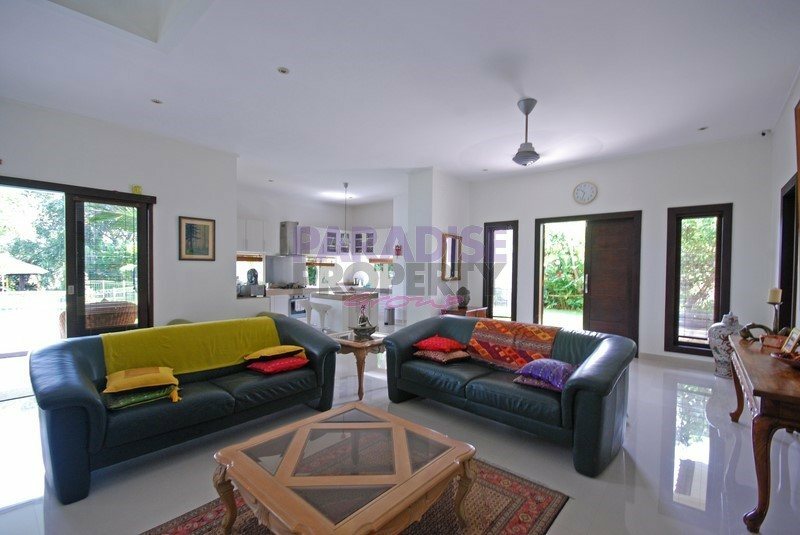 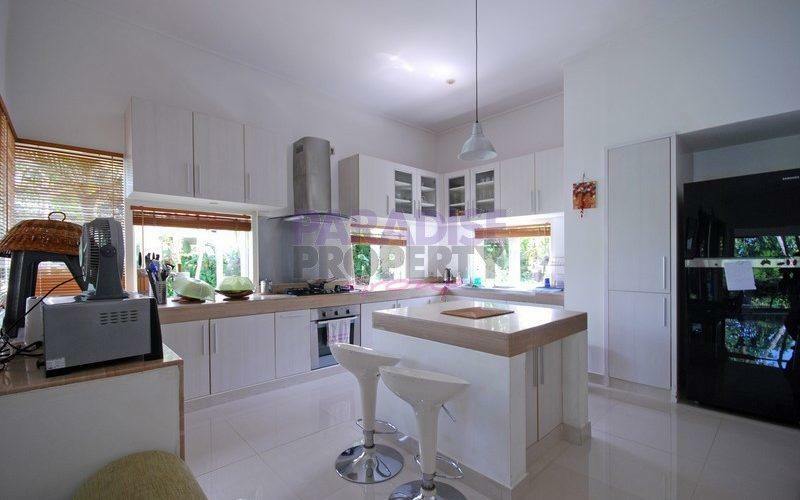 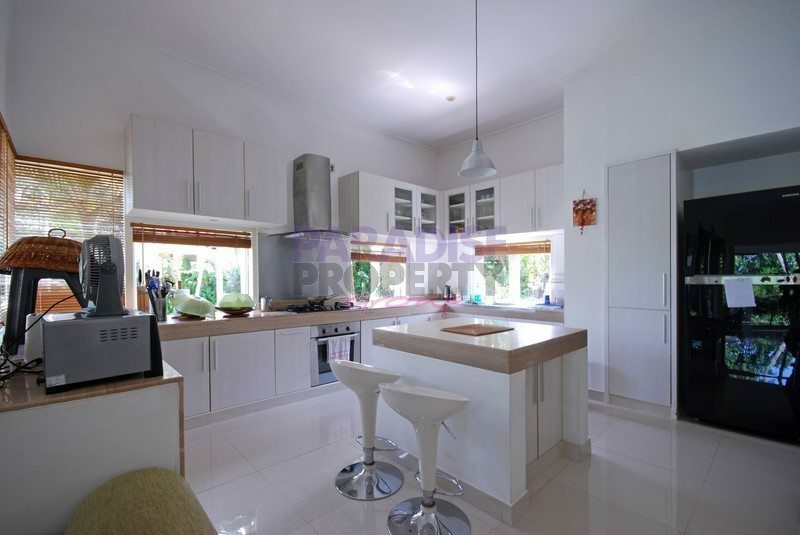 The versatile layout, size and amenities makes this a truly multi-purpose property that could function either as a large family residence, with plenty of space for a home-run business, or as a commercial holiday rental villa. 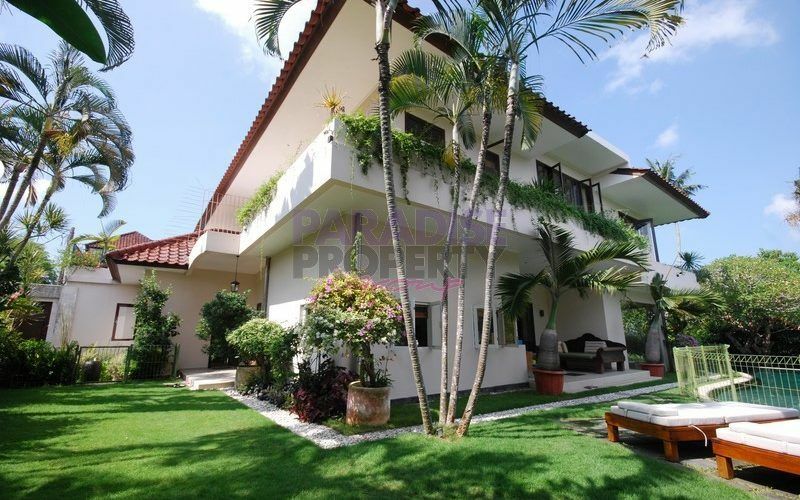 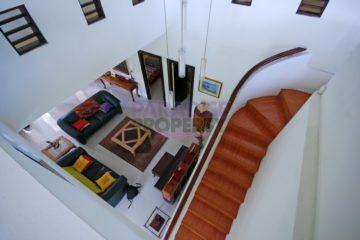 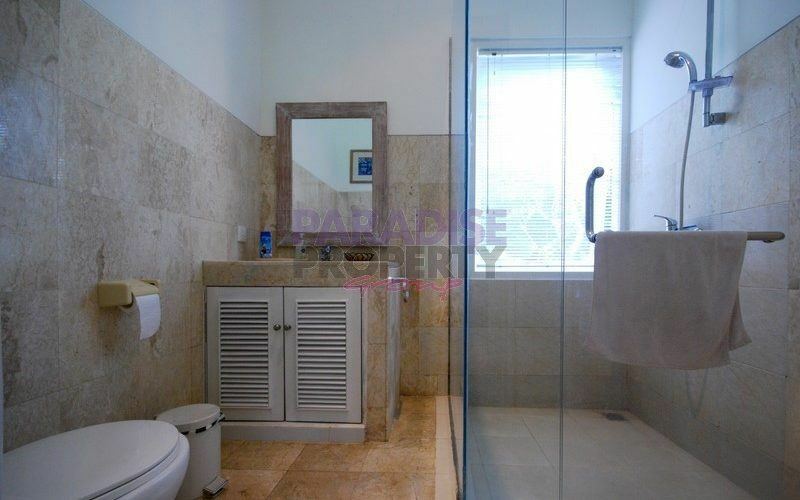 The main villa has a modern look and is fully enclosed. 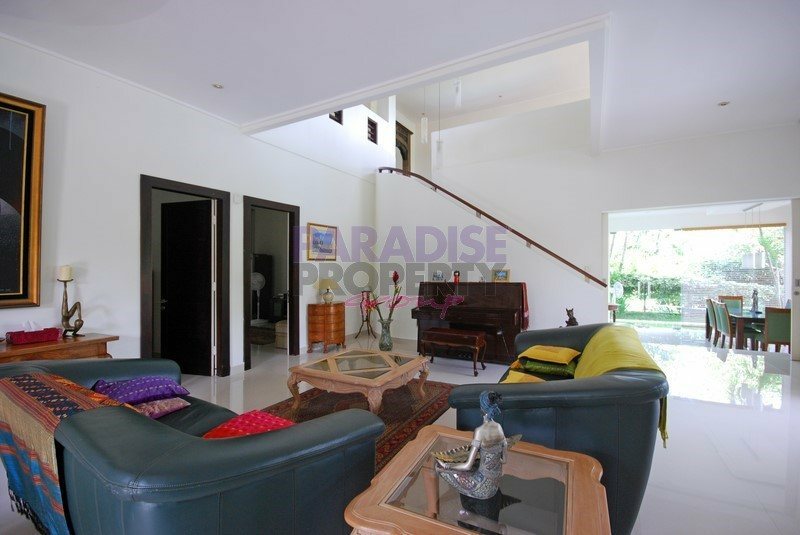 It comprises 5 bedrooms, 6 bathrooms, an office, living room, dining room, large family area (on 1st floor), kitchen and laundry room. All rooms are large with AC units and high ceilings. 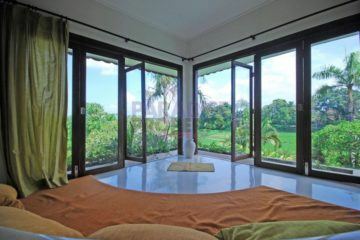 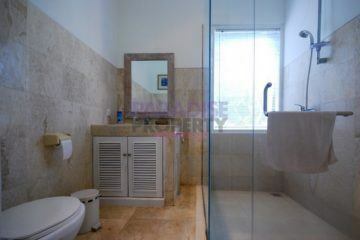 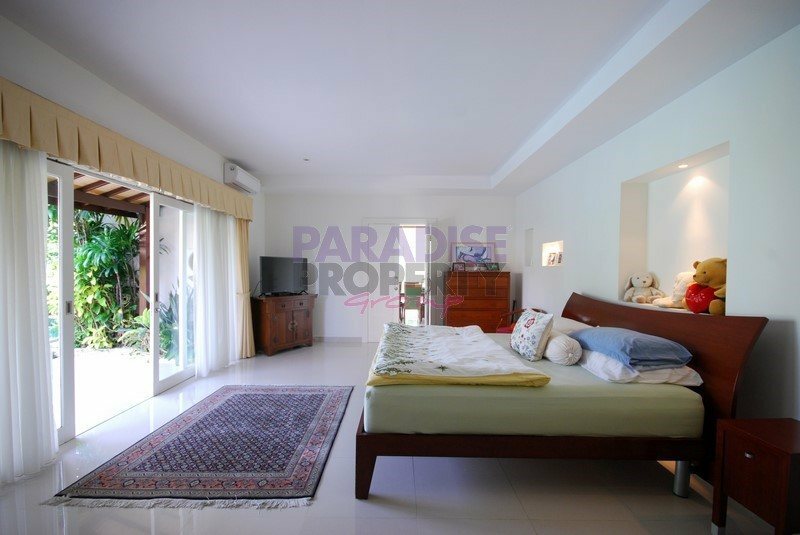 The master bedroom on the ground floor has a private terrace giving access to a 25 meter lagoon shaped swimming pool. 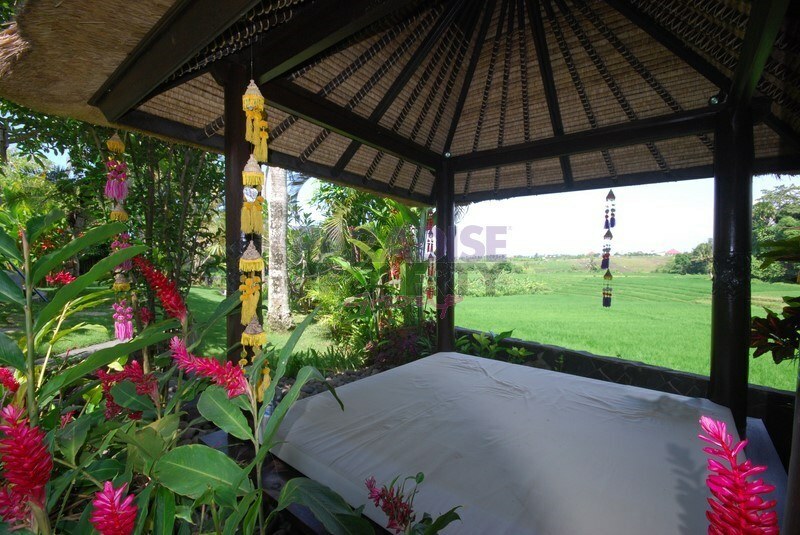 Additional buildings comprise a large guesthouse (50m2), garden pavilion (50m2) and a bale bengong. 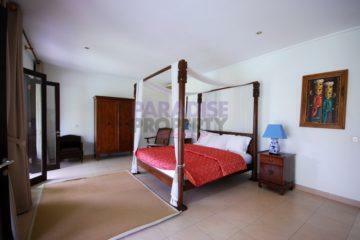 The staff quarters (40m2) have a separate access and comprise 2 bedrooms, shower/WC and kitchen. 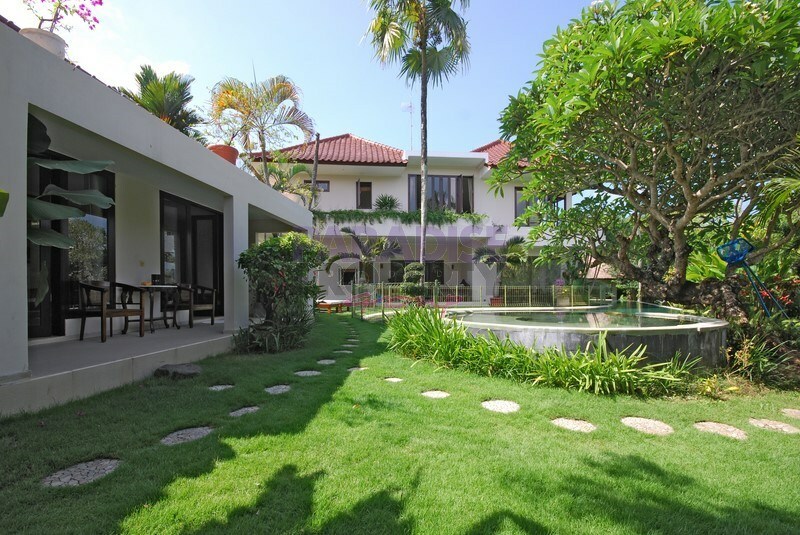 Other buildings: Guest house, garden pavilion and staff quarters. 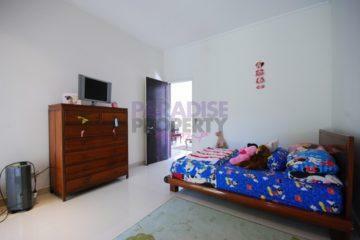 Information or to arrange a viewing.